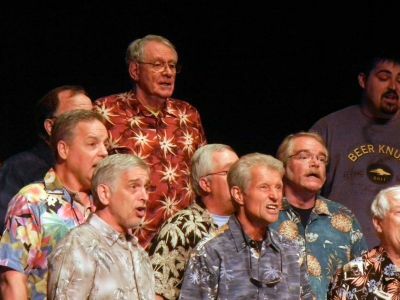 The program’s title was Let’s Get Away From It All, and the vacation atmosphere was set the moment a very local audience of family, friends, and music fans entered the Crighton Theatre for the delightful concert of the STATESMEN CHORUS last Saturday. 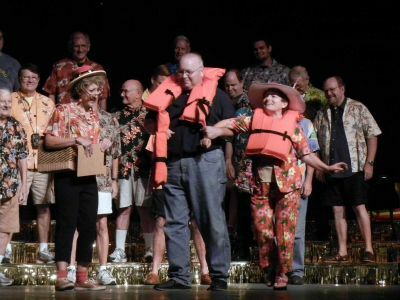 (complete with amusing ship board announcements and safety drills) that would surround the lovely music of the Statesmen Chorus that would clearly be the main event of the evening under the skillful direction of Janet Burnett. 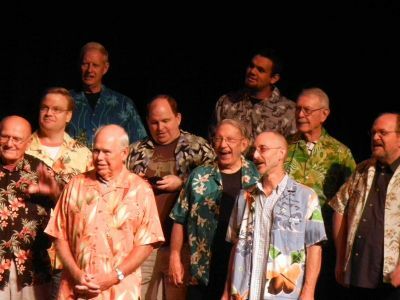 Next, the Statesmen Chorus returned for six more wonderful numbers that began with a perfect song for drought-stricken Texas, “Trickle Trickle.” They offered a warm and mystical, “Yesterday,” that seemed to recall a simpler time when songs had more sweet sentiment and far less noise. 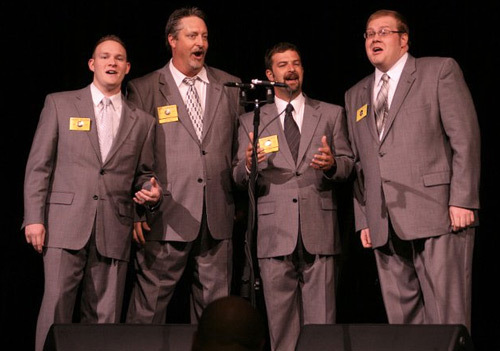 With cute musical variety and smooth harmonies, the Sterling Quartet then stepped forward to sing, “Never Say Never Again.” The Statesmen returned to tip their hats to rock-n-roll with a “Who Put the Bomp?” that featured lots of silly gesture antics that culminated in rousing applause from the audience. Their lovely, “Goodnight Sweetheart,” brought the show to Intermission. 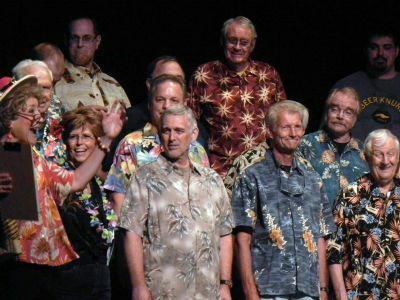 When the Statesman Chorus returned for the finale they were arrayed in elegant formal attire, as was director, Burnett, in her sleekly elegant floor length black gown. Final vocal treats included, “How Great Thou Art,” “I’ll Fly Away,” “When the Roll is Called Up Yonder,” and Lee Greenwood’s American anthem, “God Bless the USA.” I would add, God Bless the Statesman Chorus! 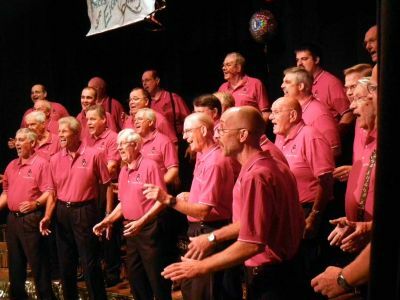 This entry was posted in Concert Reviews, Miscellaneous Reviews, The Courier Columns, Theater Reviews and tagged concerts, Entertainment, Houston, music, plays, Reviews, Texas, theatre. Bookmark the permalink.